1896 – Birth of Stephen Potter, U.S. Navy officer and early naval aviator; he would become the first American naval aviator to shoot down a German plane. 1937 – Pan American World Airways Sikorsky S-42 flying boat “Samoan Clipper” inaugurates the first air mail and freight service between the U.S. and New Zealand. 1948 – The first Soviet pilot to break the sound barrier is I. E. Fedorov, who achieves the honor by diving his Lavochkin La-176 jet, powered by a Rolls-Royce Nene engine, at full throttle. 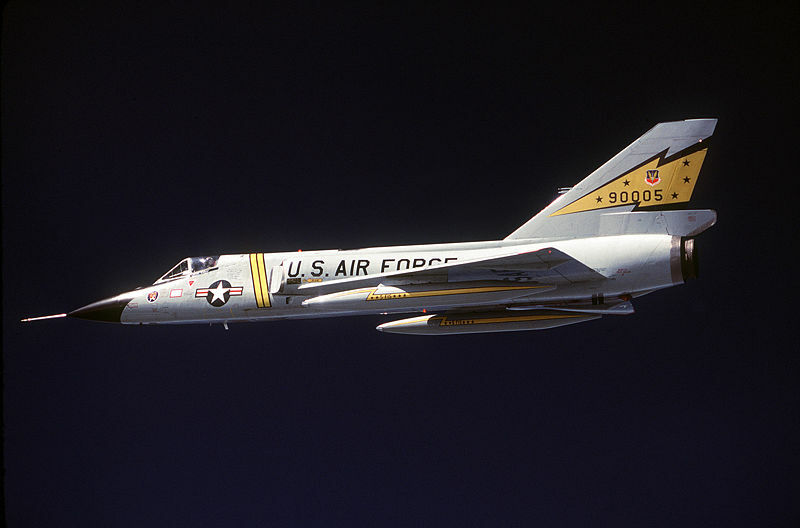 1956 – First flight of the Convair F-106 Delta Dart (shown). 1960 – Death of Giuseppe Mario Bellanca, Italian-American airplane designer and builder who created the first enclosed cabin monoplane in the U.S.; he also was the founder of Bellanca Aircraft Co.
1975 – The first airmail flight by a supersonic aircraft is made by the Tupolev Tu-144 between Moscow and Alma Ata, U.S.S.R.